Wilde, Oscar, 1854-1900. 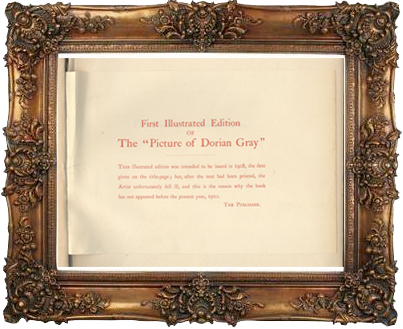 The Picture of Dorian Gray, C. Carrington, Paris, 1908. 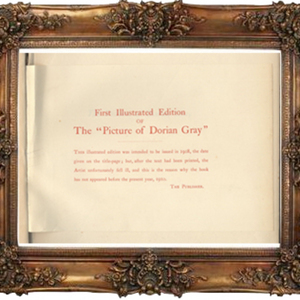 Wilde, Oscar, “The Picture of Dorian Gray (1908) ,” UVic Libraries Omeka Classic, accessed April 21, 2019, http://omeka.library.uvic.ca/items/show/522.